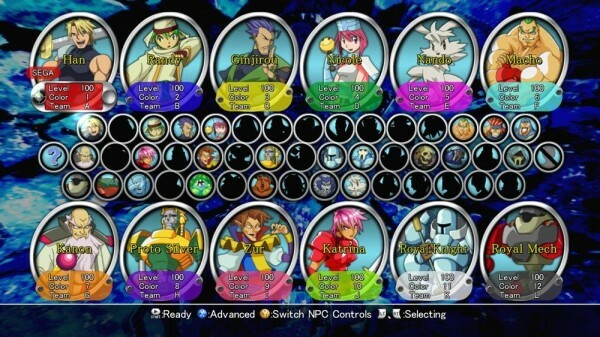 Guardian Heroes was developed by Treasure and published by Sega. It was released October 12, 2011 for 800 MSP. A copy was provided for review purposes. It’s safe to assume most people who play XBLA games probably have never owned a Sega Saturn, and that’s just sad. It had a great array of titles in the 90’s from Burning Rangers to NIGHTS. Sega has been re-releasing some of its classic Saturn titles this year, like Treasure’s Radiant Silvergun, often with remixed graphics and online multiplayer. Now there’s one more Treasure game to add to the list: Guardian Heroes. 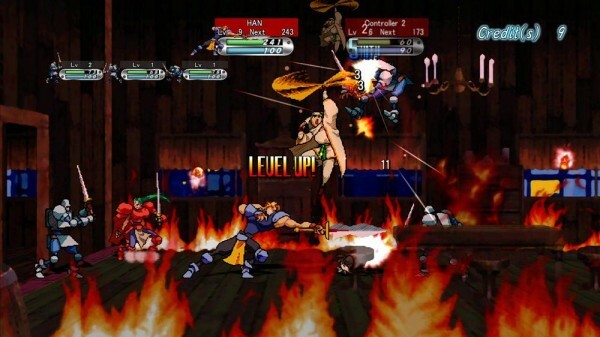 Guardian Heroes is a classic beat-em ‘up, but it had more depth than any regular brawler when it was originally released. Some might say you can see a lot of GH-inspired gameplay in The Behemoth’s Castle Crashers. Does this game live up to its retro accolade or was it better off staying in the past? 90’s presentation – The moment you start up the game you hear horns blaring, catchy synths and hilarious guitar riffs. It’s pretty apparent that this game tries to go for what we thought was radical and pumping in the 90’s. As you go throughout the stages, you’ll hear more saxophones, get hilariously written dialogue and dramatic music as your group discusses what to do next. 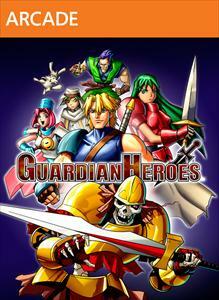 If you’ve ever wanted to feel as if you’ve travelled back in time, Guardian Heroes will satisfy that need. Deep combat system – What’s interesting about the combat system is it’s not tied to one plane; you have to utilize all three dimensions. It can get pretty hectic quickly but the combat engine allows you to take on some serious moves. 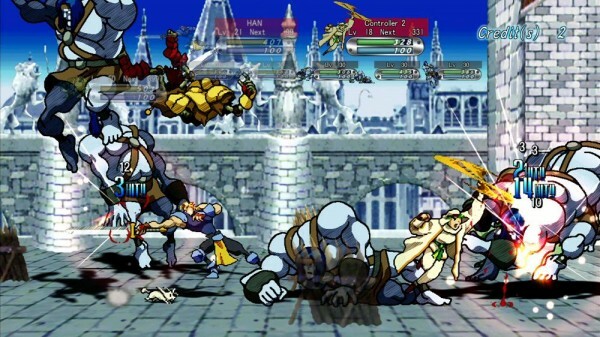 It almost feels like a fighting game engine in a brawler–you’ll even have a move list of special moves and attacks. There are many ways to dispatch and deflect your opponents. Co-op – The co-op and multiplayer modes in Story and Arcade mode allow 2-4 players. There’s also up to 12 players online for Versus modes. You can unlock and play as the characters in the campaign from heroes to villains to even random peasants in the background. The Versus mode feels like Super Smash Bros, but it gets even crazier with a dozen characters on screen. Expect to have a lot of fun with however many folks you play with. Impact of story choices – There are a lot of branching paths in the game that give the impression you’re doing something different each time. At the end of the day however, the story revolves almost exactly the same. The branching paths often just feel like warps to another level where you’ll either fight a robot or orcs. Perhaps it’s because it was made almost 20 years ago, but that element doesn’t age very well at all. Difficulty – You’re going to need a friend to tackle this game. Since it’s an arcade brawler, you share credits with your friends. It’s incredibly difficult even then, so you may find yourself throwing a controller across the room in rage. It nails down the hard difficulty of old brawlers but sometimes it’s not for the best if you’re playing by yourself. Another thing, you have nine continues on Normal and unlock things but on Easy, you get 99 lives but can’t unlock things (achievements still carry over no matter what difficulty). At the end of the day, Guardian Heroes is a retro dream back to a time where Sega made game consoles. It has some nibbling aspects to it but that’s just a matter of age and the overall quality doesn’t falter. What you’re getting for 800 MSP is a deep brawler with lots of co-op options and amazing if not hilarious music. Treasure might make great shmups but they make even better brawlers.